MOMENT 16 has been co-created on 6 November 2015 at 4pm Brst or 6pm GMT, at the core of the First International Tech Week in Sao Paulo (Brazil). 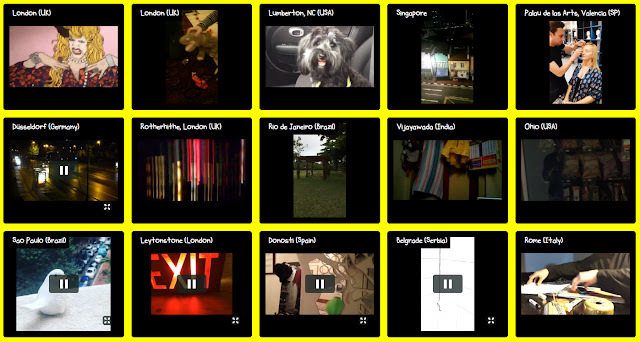 This MOMENT is composed by 40 videos filmed with camera-phones, entangling artists from diverse cultural backgrounds and geographical locations, such as, Sao Paulo and Rio de Janeiro in Brazil; Lumberton and Wilmington (North Carolina), Ypsilanti (Michigan) and Great Barrington (Massachusetts) in the USA; Vijayawada and Bangalore in India; Bilbo and Donosti (Basque Country), as well as, Valencia, La Rioja and Valladolid in Spain; London, Wear, Woking, and Edinburgh in the UK; Dusseldorf and Berlin in Germany; Belgrade in Serbia; Rome and Chianti in Italy; Tournai in Belgium and, finally, Singapore. J. RAMON FERNANDEZ, JOHN LEE BIRD, JON KOLDO VAZQUEZ, SILVIA GRIMALDI WITH CLARA BUSHER (7 YRS) & BEN GEBAUER (7 YRS), VICTOR CANO , SHIVKUMAR K V ART, SANDRA BECKER, ELIANE FELIX FIGUEREDO, LEA VAN STEEN, MADDIE FIX , SILVIA & GIUSEPPE, CARLOS CAS, CAROLINE KAHN, ARITZ GALIANA, CARLOS MARTIN SANCHEZ, CAROLYN FOLAND, ICEBERG FERNANDEZ, BELEN RODRIGUEZ GONZALEZ, KATARINA KAJA MARKOVIC’, RAPHAEL LATOUR, MARTA ALVAREZ, JOZEF ONDKO, FRANCISCO GOMEZ DE VILLABOA, SAM CARBY, PABLO VILLAVICENCIO, JUSSARA FELIX FIGUEREDO, ROBERT GREGORY COLE, MANUEL HENCHE, ELENA UGARTE, CLAUDIA JACQUES, ASIER REGUERA, ALBERTO GARCIA , AITOR ALBO, MARIO MARTINEZ, PILARETA TAMARIT, ION SAGARZAZU, JULIA LOUISE HARRINGTON, JAMES HUTCHINSON, GALERIA REPARTE and MATT LOVE. MOMENT 16 has been shown and discussed on 9th November 2015 at 18:00 at the Mobilab exhibition, curated by Jussara Felix Figueredo. 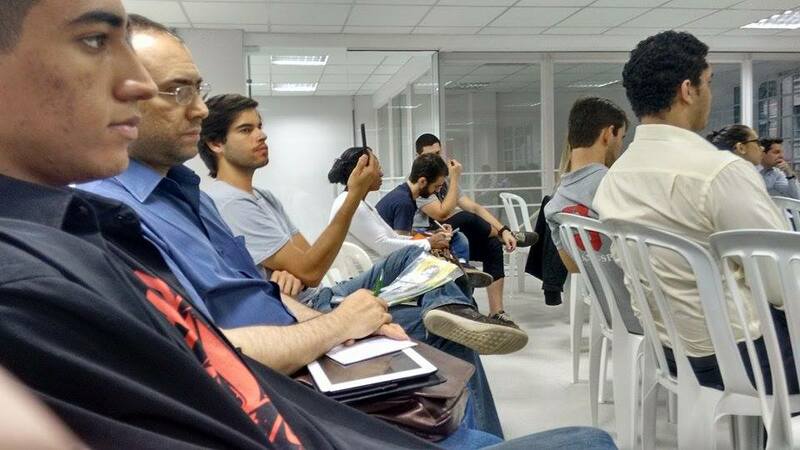 Quantum Filmmaking at Sao Paulo Tech Week 2015 (Brazil). Photo by Jussara Felix Figueredo. 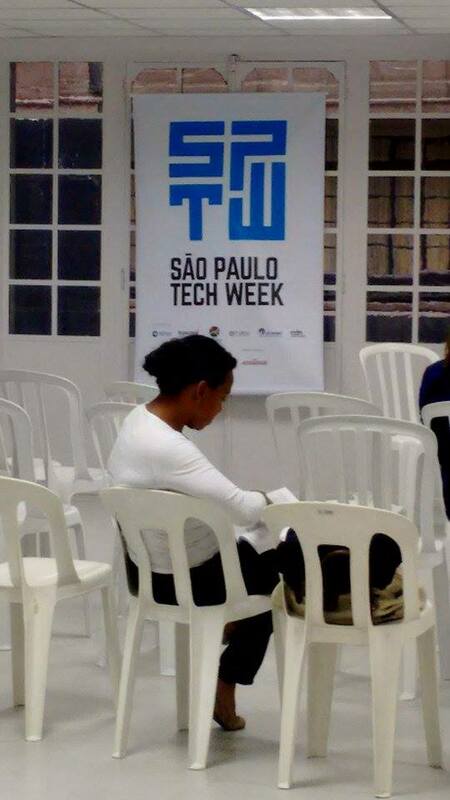 Quantum Filmmaking at Sao Paulo Tech Week 2015 (Brazil).